Unlike another couple blogs, my buyback frankenset is incredibly stalled. I don't search ebay much for the stamped cards. 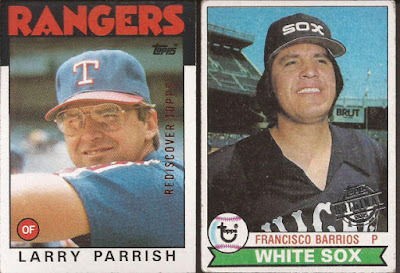 I don't buy a lot of packs that would contain buybacks. I don't hit enough card shows to find them for sale in boxes. But is all cases, I think that buybacks are far overpriced. 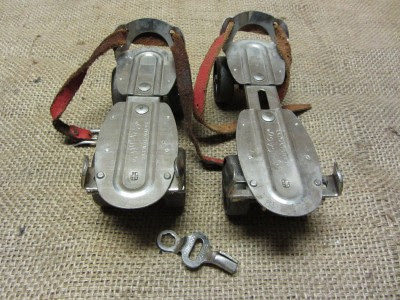 Then again, I tend too be a cheap skate. Fortunately, the owner of one of the other blogs I mentioned is going gang busters on his frankenset build. I refer to Shane over at Shoebox Legends. Shane is picking up buybacks from COMC and Ebay, with the Ebay purchases usually being lots. And since Shane's current set is more than twice the size of mine (464 cards), there are cards within the lots that create dupes. And Shane is generous to share many of his duplicates with me. Let's have a gander at a recent PWE I received and see who made the cut into my set. First, we start with the keepers, as these are all card numbers I currently do not have in the set. Some day, I'll build a 1973 set. I love getting any '73 cards I can, so '73 buybacks are great additions. Nice view of old Yankee stadium on the Barrios card. 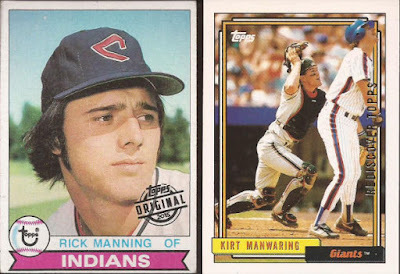 Manning and Manwaring. Those are great caps Cleveland had in the late 70's. So there are seven cards that made the set. But Shane sent 9, so in homage to Shane's posts, let's see what happens to the other 2 cards. A nice 1973 card of Jim McAndrew. 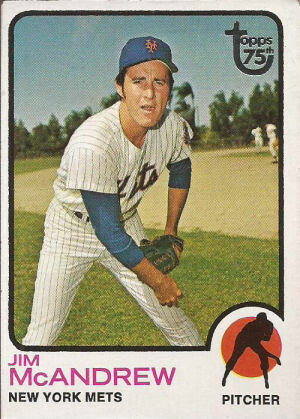 Definite spring training posed shot, but it is a '73 card. 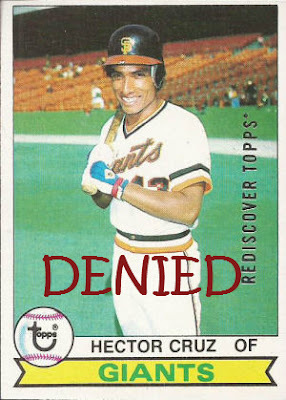 And I mentioned before my love of 1973 Topps. This is card #436, so let's see what I currently have in that spot. A 1979 Cards of Hector Cruz. Dig that Astroturf, and the Sansabelt polyester pull overs of the Giants. This is a no-brainer. Out you go, Hector. The other dupe I received was card #181. 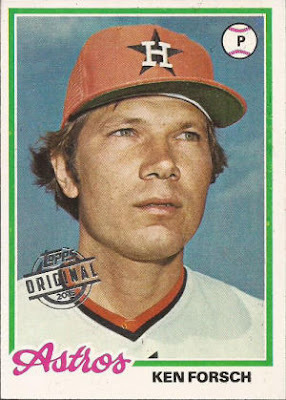 1978 Topps buyback of Astros Ken Forsch. 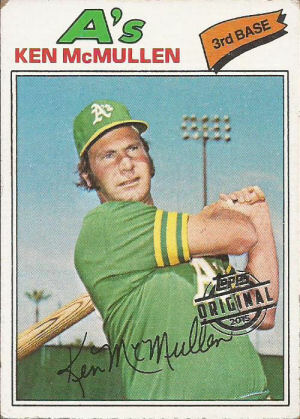 This looks like a card that would be a shop job, but Ken had been an Astro for many years by the time '78 Topps came along. What card currently is #181 in my set? 1977 A's Ken McMullen. Neither are amazing sets, and neither are great images either. I am a big fan of Houston bringing back the orange caps to their uniforms. McMullen is also posing at spring training. So who wins the battle of the Kens? I appreciate the card, Shane, but I need to keep that McMullen in the set. Too nice of a background. With the 7 new cards, my frankenset currently sits at 151 cards. Slowly, but surely, I am getting there.